For a deliciously soothing, moisturizing bubble bath, simply place Dead Sea Spa Care Bubble Bath Truffles under running bath water for enormous bubbles. Wonderful oils will nourish your skin. Amazing aromatherapy scent will relax your soul. 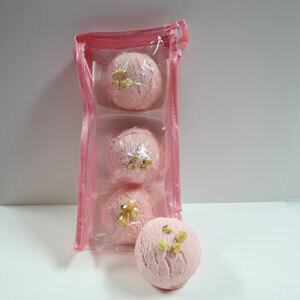 3 Bubble Bath Truffles per pack. 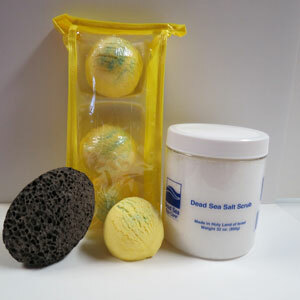 For a deliciously soothing, moisturizing bubble bath, simply place Dead Sea Spa Care Bubble Bath Truffles under running bath water for enormous bubbles. Wonderful oils will nourish your skin. Amazing aromatherapy scent will relax your soul. 3 Bubble Bath Truffles per pack. Moisturize after the show with Dead Sea Spa Care Serenity Hand and Body Massage Lotion. Your skin will feel silky smooth and moisturized. For a deliciously soothing, moisturizing bubble bath, simply place Dead Sea Spa Care Bubble Bath Truffles under running bath water for enormous bubbles. Wonderful oils will nourish your skin. Amazing aromatherapy scent will relax your soul. 3 Bubble Bath Truffles per pack. 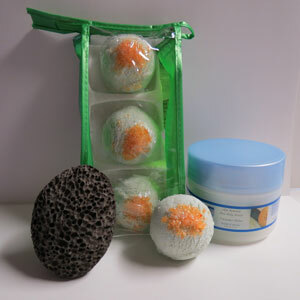 Use pumice stone while in the bath to smooth out rough areas like your heels. Moisturize after the bath with Dead Sea Spa Care Serentiy Shea Body Butter. Your skin will feel silky smooth and moisturized, especially around dry rough areas. 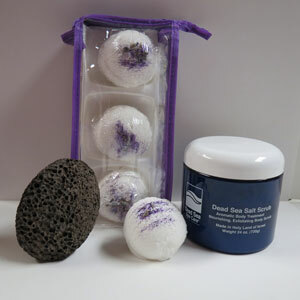 For a deliciously soothing, moisturizing bubble bath, simply place Dead Sea Spa Care Bubble Bath Truffles under running bath water for enormous bubbles. Wonderful oils will nourish your skin. Amazing aromatherapy scent will relax your soul. 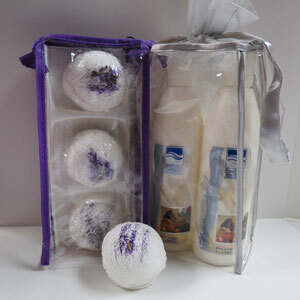 3 Bubble Bath Truffles per pack. Use 6.35 oz Shea Butter Exfoliating Soap while in the bath for additional aromatherapy relaxation and cleanliness. For a deliciously soothing, moisturizing bubble bath, simply place Dead Sea Spa Care Bubble Bath Truffles under running bath water for enormous bubbles. Wonderful oils will nourish your skin. Amazing aromatherapy scent will relax your soul. 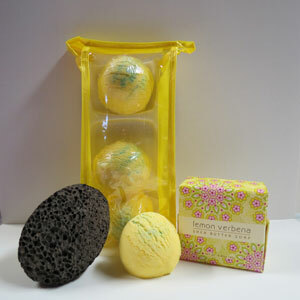 3 Bubble Bath Truffles per pack. Use Dead Sea Spa Care Dry Salt Scrub while in the bath for a deep exfoliation. Use pumice stone for dry areas such as heels of your feet.